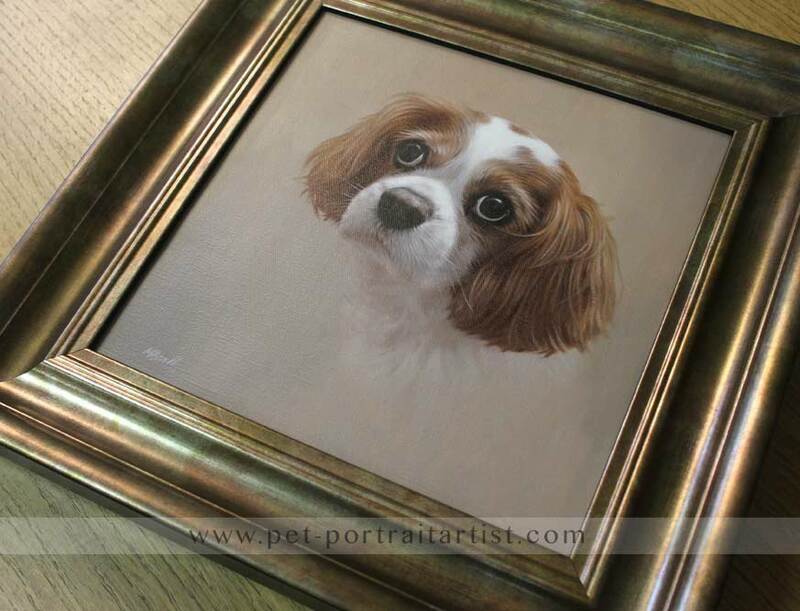 Welcome to our Langham Gold pet portraits framing page. 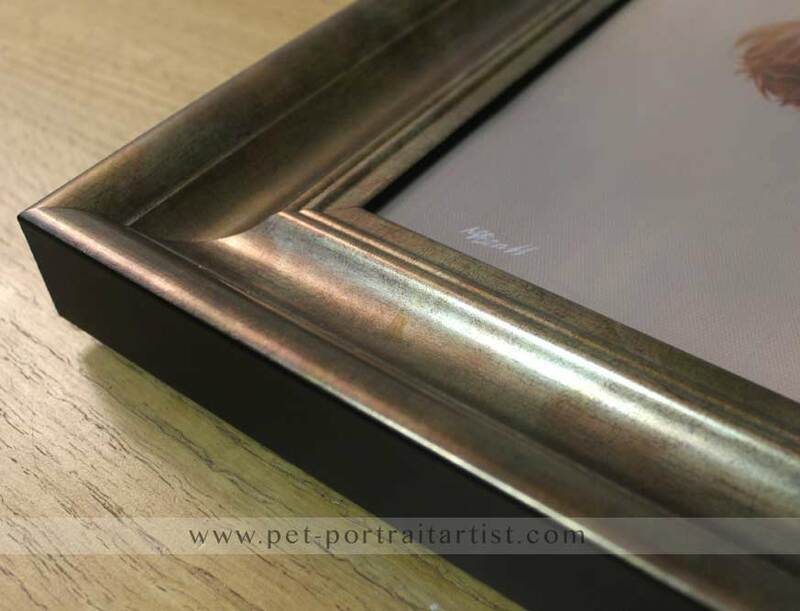 The Langham Gold frame is a beautiful moulding made in Italy, and comes in different widths and sizes. 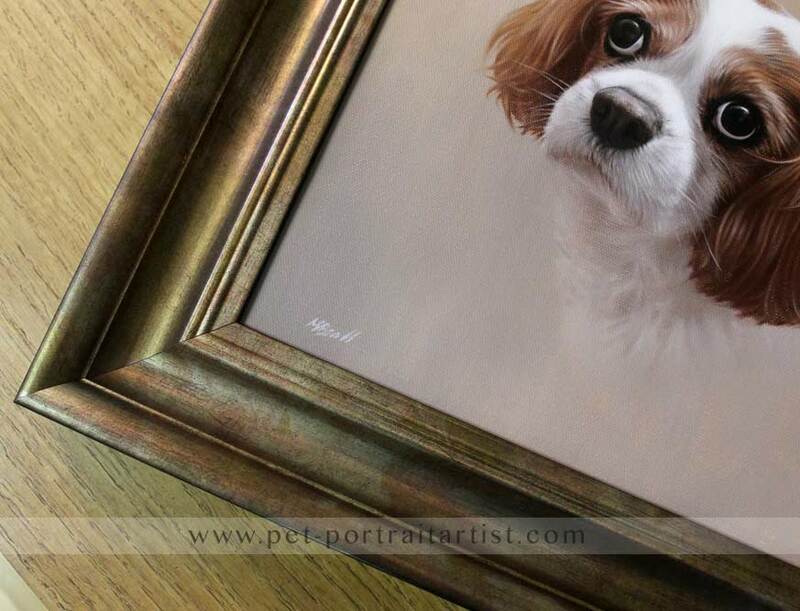 It is suitable for all size oil paintings and pencils drawings. The largest size, which you can see below, is perfect for our oils as it has a deep rebate, which means it covers the depth of the canvas. 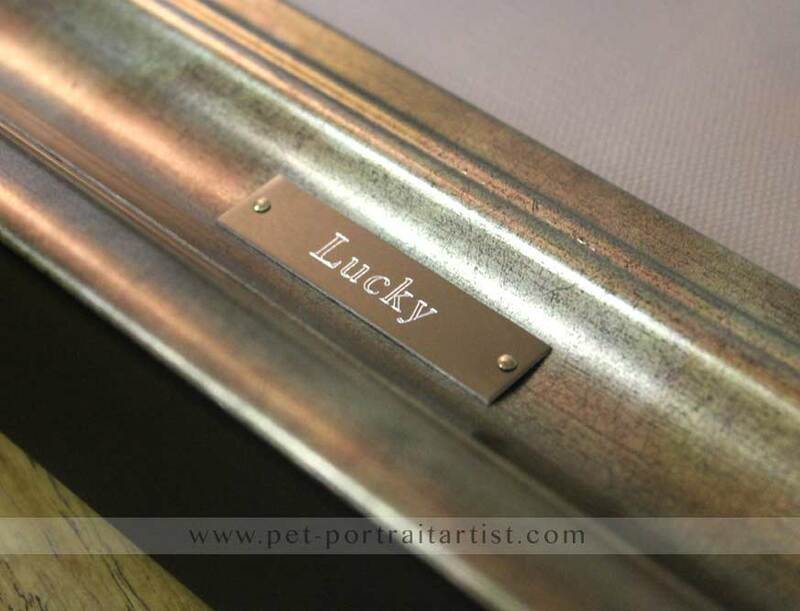 When you look at the side of the portrait you will see the side of the frame and not the canvas. The frame comes in silver and gold and you can see the gold version below. 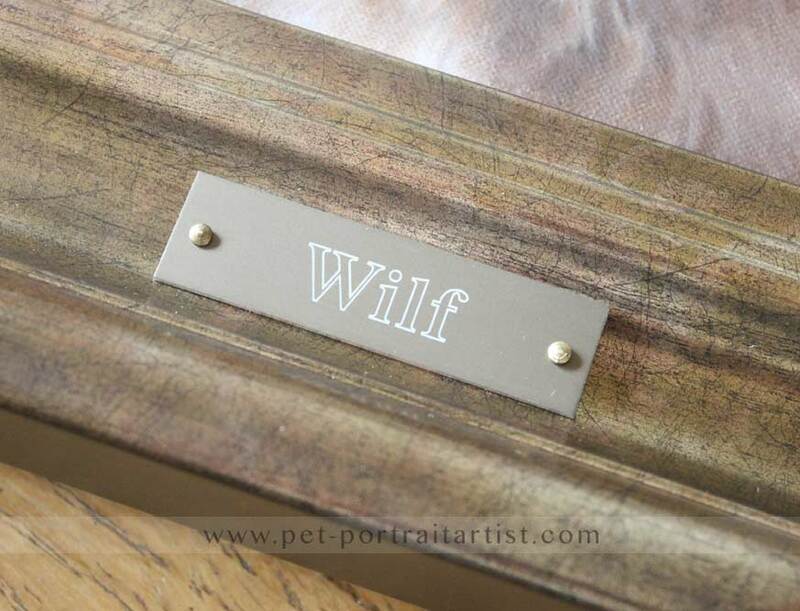 The moulding is also suitable for a plaque as you can see from the photos. We have also taken a video of the frame so that you can see it in more detail, we hope you like it. Don’t forget to subscribe to our YouTube Channel too! 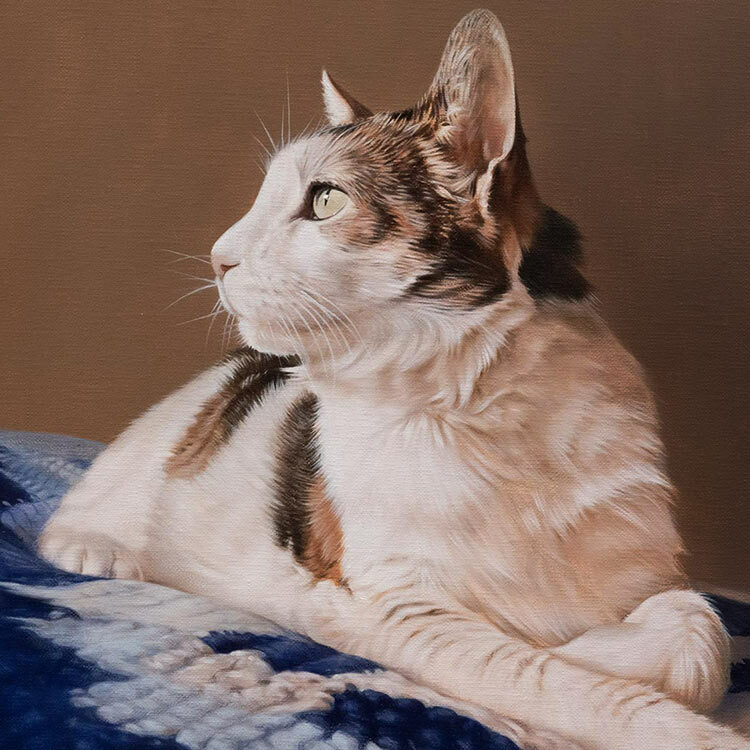 ..... And now I want to thank you for the beautiful, beautiful picture of Diva! It arrived on Thursday and it looked even better than it already did on the pictures you've sent me! It was packed with so much love and care and thank you also for the nice letter! I looove the picture! 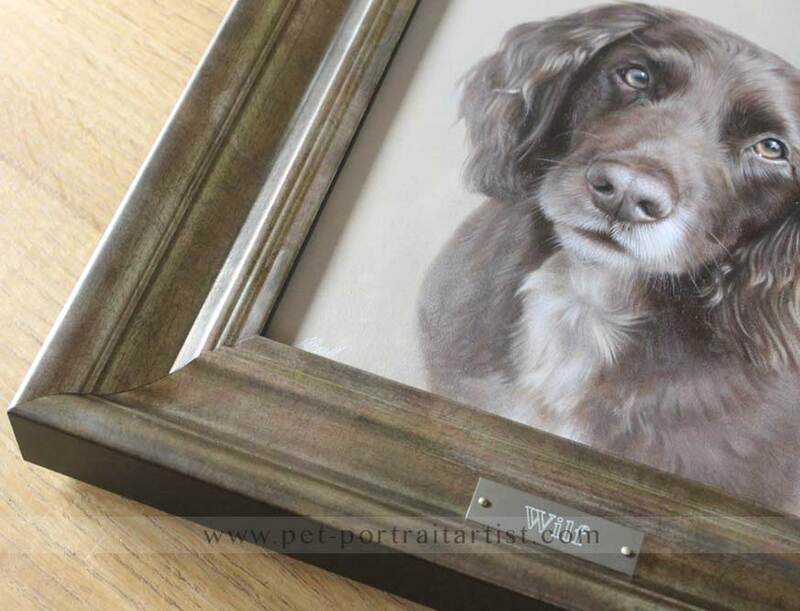 I've never seen anything this beautiful before (except all your other pictures on your website) and I'm loooking forward to having both of my own dogs painted by you in the future. When my trainer has gotten the picture I will ask her for a photo of Diva and the picture so that you can post it on your website. 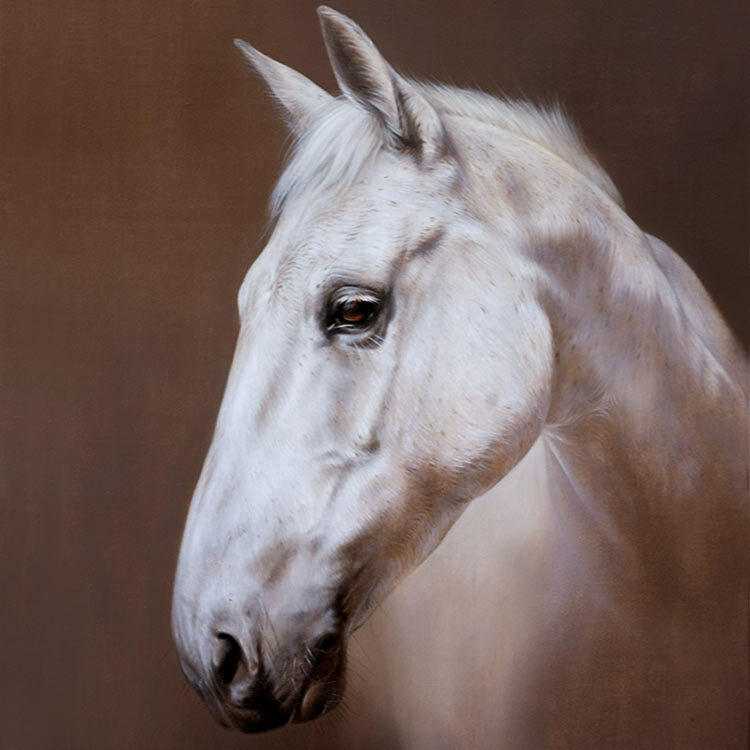 Thank you so much for painting this wonderful perfect picture of Diva for my trainer and me, I was so happy when it arrived, and thank you also for the lovely contact and updates and all the effort you put into keeping your clients up to date. I appreciate it very much! 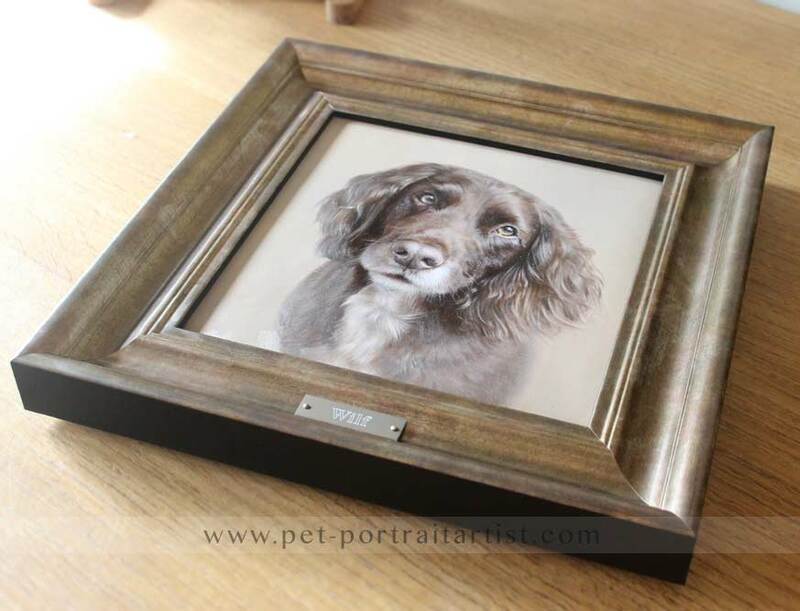 Our Ornate Pewter Frame is perfect for oil paintings, head on over to see if its the perfect frame for your pet portrait!